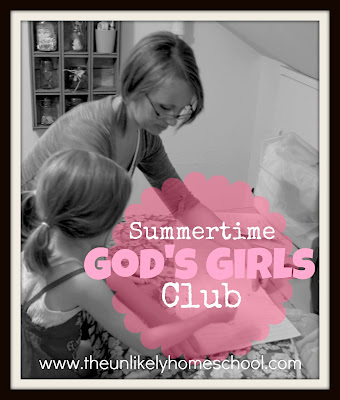 Glad you've joined me for the very last meeting of our Summertime God's Girls Club, a mother/daughter group that seeks to find joy in femininity and impart a love of homemaking to the next generation of Proverbs 31 girls. Throughout the summer, we have enjoyed working our way through Lady in Waiting for Little Girls: Strengthening the Heart of Your Princess by Jackie and Dede Kendall. 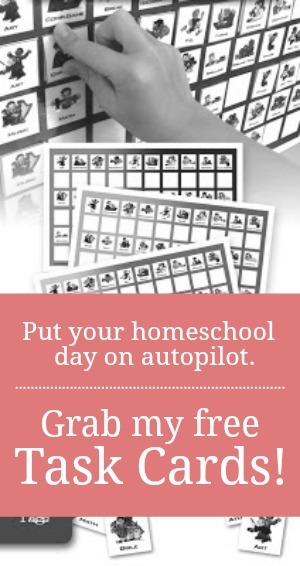 Review all manners and skills learned throughout the summer. Just as we desire to spend time with our earthly fathers and make them a high priority in our lives, we should strive for complete devotion to our heavenly Father. He desires to build an eternal relationship with us and has left us with a life-long conversation...His Word. With a brief look at Psalm 119:103, we learned that God's word is sweeter than honey. Its loveliness should compel us to read often and draw us nearer to Him. When given the opportunity, Mary placed high value on spending time with Christ...hearing from Him...learning from Him...devoting her full attention to Him. She knew that spending time with Jesus was the best way to spend her time. Hearing Him speak was like honey...honey to her mouth. Her devotion to Christ was clear to everyone present that day. We, as God's Girls should strive for the same devotion and seek to read His Word in an effort to "sit at His feet" as Mary did. At our last meeting, the girls cut and sewed the bag portion of the book bag. At this week's meeting, we completed the entire bag by sewing the strap together. Lay right sides of the strap fabric together and pin in place. Sew both "long" sides with a 1/4 seam. Leave the two "short" sides unsewn. Reach your fingers inside one of the small unsewn ends and pull the fabric "right-side-out." Tuck the unsewn ends in to the strap about 1/4 inch. Iron the entire strap. Sew a 1/8 inch topstitch all the way around the strap being sure to enclose the two small unsewn ends. Use a measuring tape to find the exact middle of the strap (or just fold in half lengthwise). Pin each end of the strap to the sides (seam) of the bag portion about 1 1/2 inches down from the top of the bag. Sew a 1 inch box to attach each side of the strap to each side of the bag. Here are the girls and their completed bags. Sweetie Pea made her book bag for her brother, Super Boy, who did not have a library bag. She was sooooo excited to come home and finally reveal the secret gift that she had been working on for about three weeks. Thank you so much for joining us this Summer for our God's Girls Club! May God bless you as you seek to train the next generation in Proverbs 31 living. You did a good job with making those bags. Turning tubes is one of my least favorite sewing things.